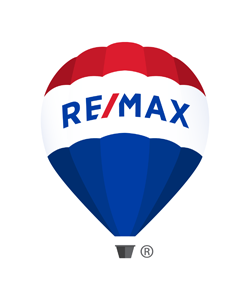 Since 1995, REMAX Prime Properties agents have been helping people just like you with their needs in the Pinehurst Real Estate market. If you're considering real estate in the Pinehurst area, you'll find that we have many choices including single family homes, patio homes, condos or townhomes. You will also be able to choose between a traditional neighborhood setting and a gated community. The surrounding communities of Southern Pines, Seven Lakes North, Seven Lakes South, Seven Lakes West, Whispering Pines and Aberdeen offer an exceptional variety of real estate, with many homes, both existing and new construction, in all price ranges. If golf is your focus, the Pinehurst Resort offers six championship courses to it's members. If you're interested in a gated golf community, you have an abundance of great choices - Mid South Country Club, Pinewild Country Club, National Golf Club, Country Club of North Carolina, Seven Lakes South, and Beacon Ridge Country Club. If water is your focus, Seven Lakes West offers spectacular Lake Auman, an 880 acre recreational lake with boating, fishing and swimming in crystal clear, spring-fed water and Lake Pinehurst is a beautiful scenic lake surrounded by lovely homes. We have many scenic bodies of water that are the ideal setting for some very special homes.